Launched in Turkey, megayacht SEQUEL P was designed by London-based H2 designers, and built by Proteksan Turquoise Yachts Inc specifically for use in the luxury yacht charter industry. 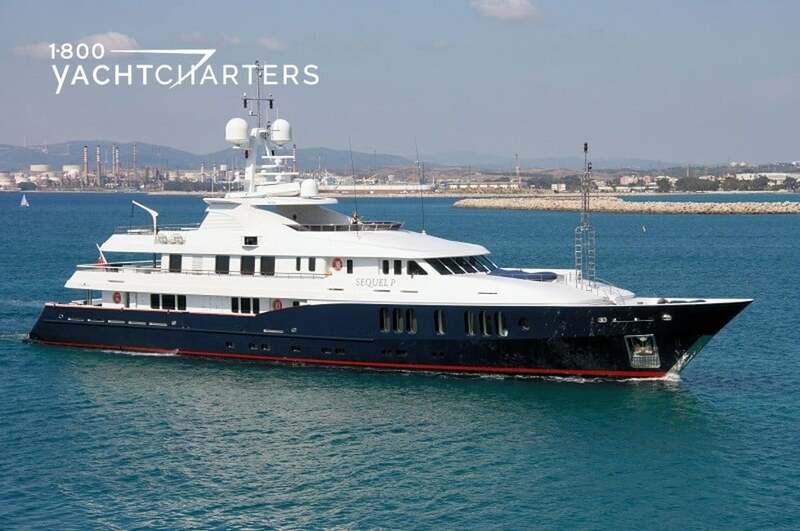 One of the most impressive yachts to cruise the Mediterranean (and the Caribbean in winter), the vessel offers a fascinating interior with areas furnished in sycamore and macore woods, and a generous exterior deck space. 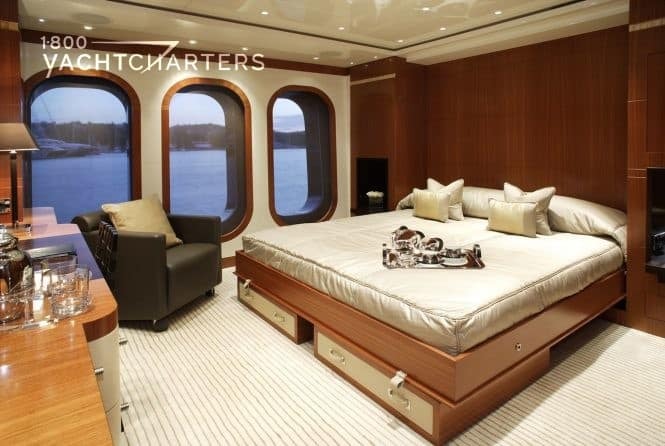 Twelve guests will enjoy the luxurious accomodations on board the nearly 55 meter superyacht. 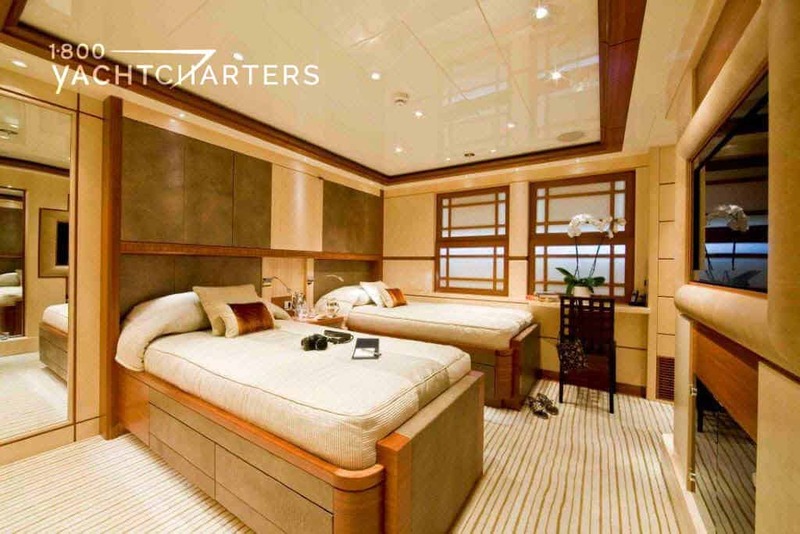 A master suite on main deck features outstanding views through full height windows, a vast walk-in wardrobe, his and hers en suite bath/shower rooms, and a private office. 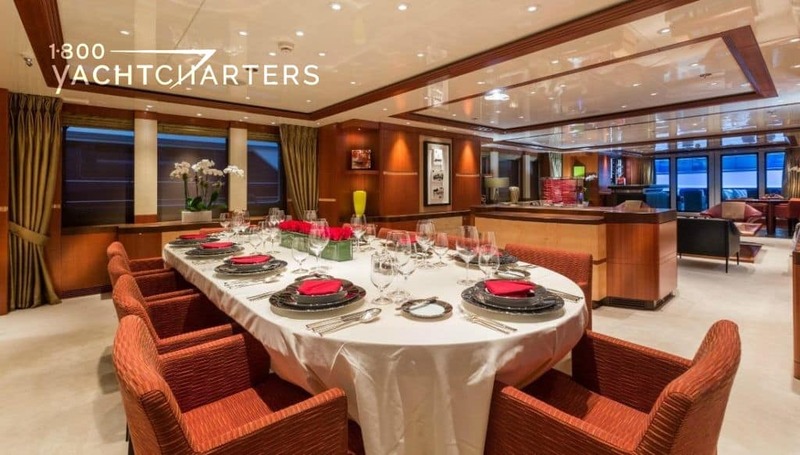 Four guest staterooms on the lower deck and a VIP guest cabin that can be converted to an additional office, provide flexible accomodation solutions for any charter party. 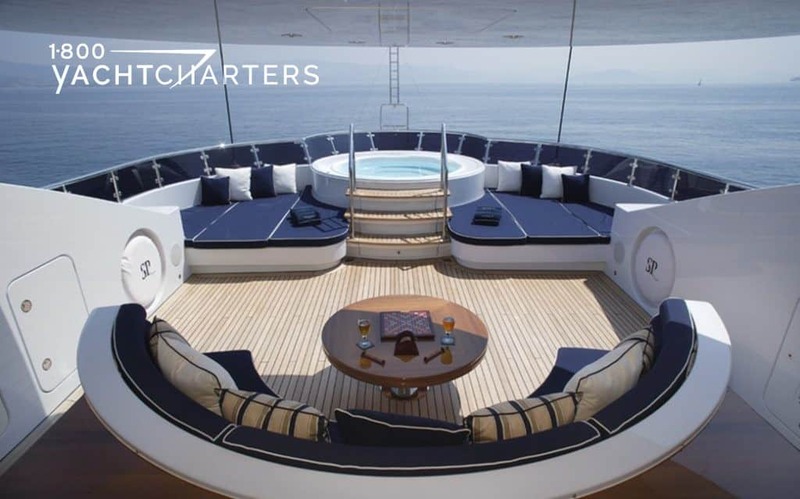 A Crestron Addagio system offers audio-visual entertainment throughout the yacht, and all cabins feature iPod docking stations. The interior spaces are rewarded with a remarkable comfort level as an outcome of challenging work on sound and vibration insulation. 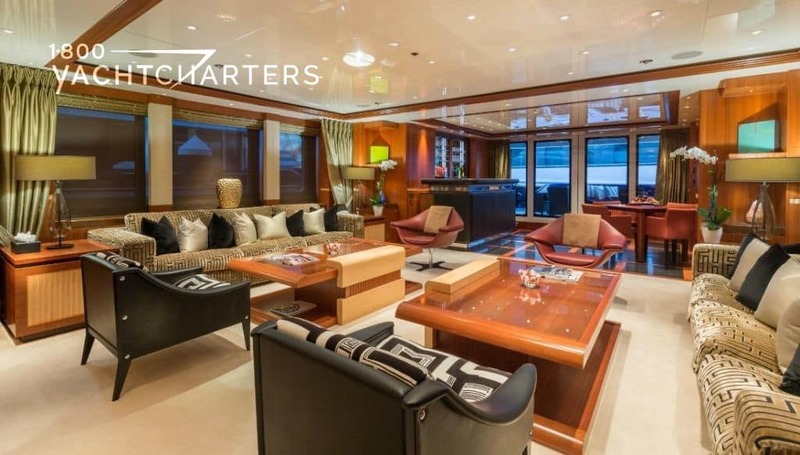 The upper deck spaces incorporate an impressive sky lounge salon with a highly stylish bar. There is also a gym, equipped with a full entertainment system. Large windows on the upper deck provide an appealing view. The dining room is combined with the main salon and gives flow to service and a light space to enjoy. The exterior areas were custom-designed for flexible arrangements for various occasions – with removable tables and interchangeable table tops. 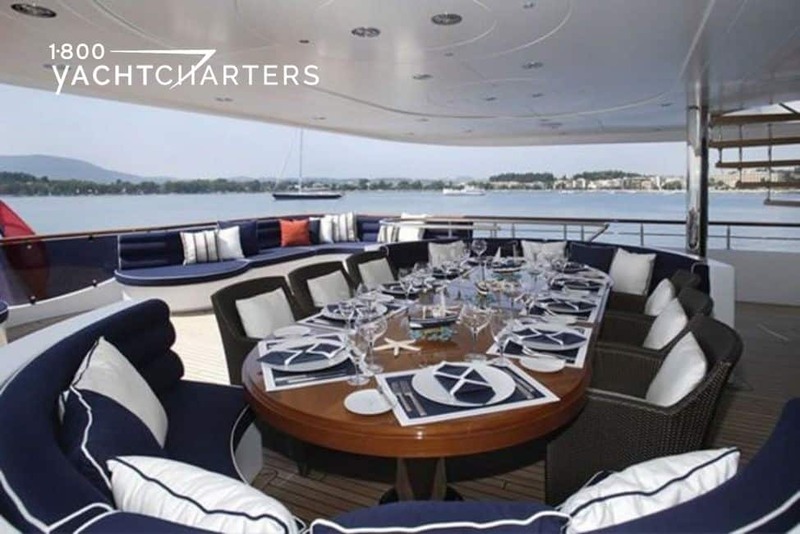 The main deck aft area features two coffee tables and a built in seating, while the upper deck, aft area is equipped with a TV screen, ice maker, refrigerator and a large center seating group with two convertible tables. The tables can either be used as one large dining table or separated into two coffee tables. The Owner’s exterior decks are totally clear of tenders and toys thanks to the garage aft of the engine room, capable of storing two 3-person waverunners and a tender up to 21 feet. A crew/rescue tender is stored on the Portuguese deck. 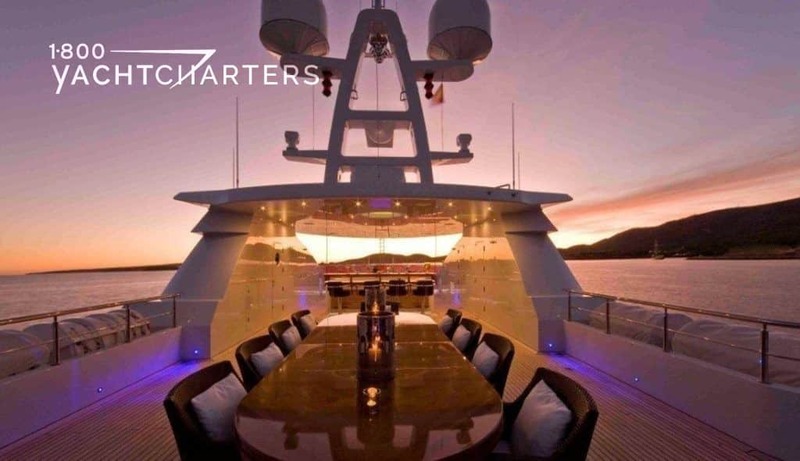 With an incredible audio-visual system, an abundance of watertoys and tenders, and a remarkable art collection, this luxury megayacht provides a multitude of options – from quiet to active forms of relaxation.